what is induction melting?why choose melting metal with induction? 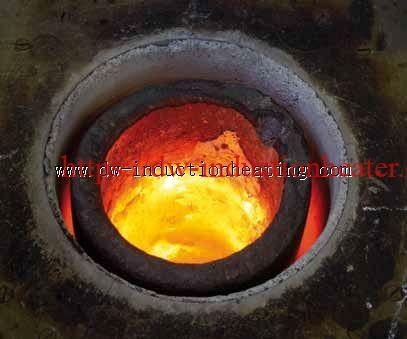 Induction melting is a process where metal is melted into liquid form in an induction furnace’s crucible. The molten metal is then poured from the crucible, usually into a cast. Induction melting is extremely fast, clean and uniform. When correctly performed, induction melting is so clean that it is possible to skip the purification stage necessary with other methods. The uniform heat induced in the metal also contributes to a high-quality end result. DaWei Induction melting furnace have advanced ergonomic features. They not only make workplaces safer, they increase productivity by making the melting process faster and more comfortable. Where is it used? DaWei Induction melting systems are used in foundries, universities, laboratories and research centers. The systems melt everything from ferrous and non-ferrous metals to nuclear material and medical/dental alloys. DaWei Induction Heating Machine Co offers many different induction furnace ranges to suit a wide variety of melting needs: single-axis tiltpour, dual-axis tilt-pour, moving coil, rollover and laboratory.